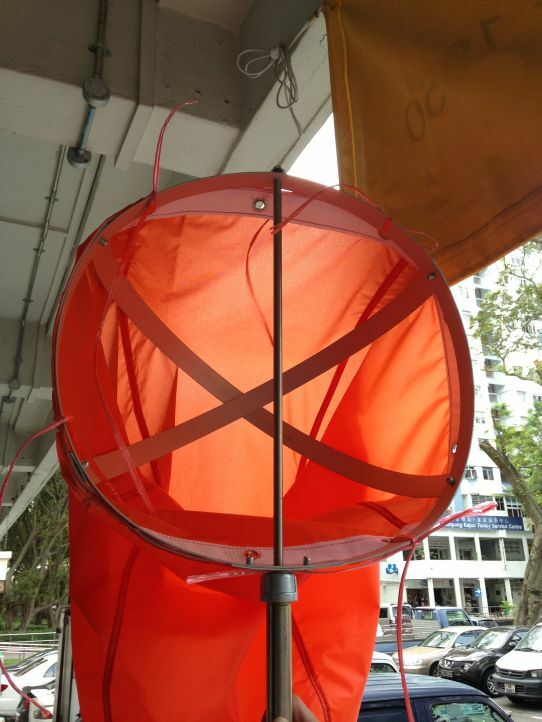 A windsock is a tapered, tubular cloth vane, open at both ends and having at the larger end fixed ring pivoted to swing freely, to indicate wind direction and approximate intensity. The wind direction is opposite the direction in which the wind is coming from. Windspeed can be approximated by the windsock's angle with respect to the mounting pole. We use a premium nylon fabric that is sewn right here in Singapore to ensure quality control and uniformity. Fluorescent orange polyurethane coated nylon is the most popular choice amongst customers. Nylon offers unparalleled windsock durability to the elements and will not become rigid in cold weather, keeping our windsocks extremely responsive in even the slightest of wind. The use of heavy duty rust-proof brass grommets or eyelets helps to further enhance the windsock's durability. 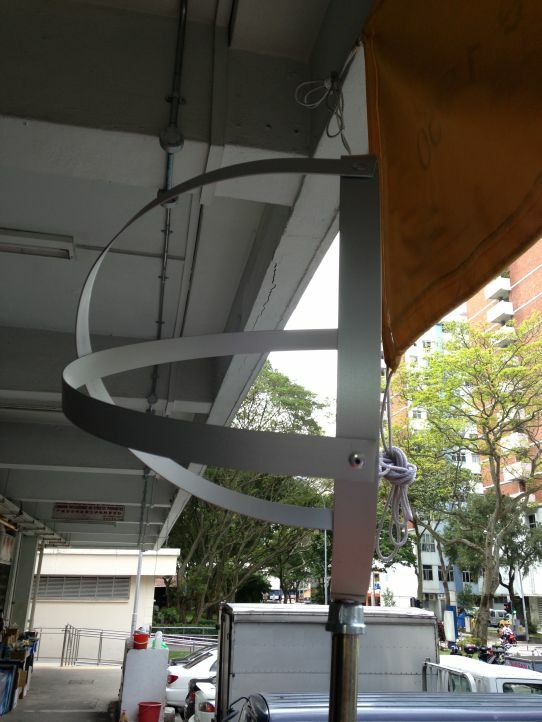 Windsock poles are also available for sale, do check with us. Airports, aerodromes and private airstrips. Parachute, Paragliding and Microlight Flying. Safety in the oil, gas and petrochemical industry. Road and highway cross wind indication. Water and sewage treatment works.